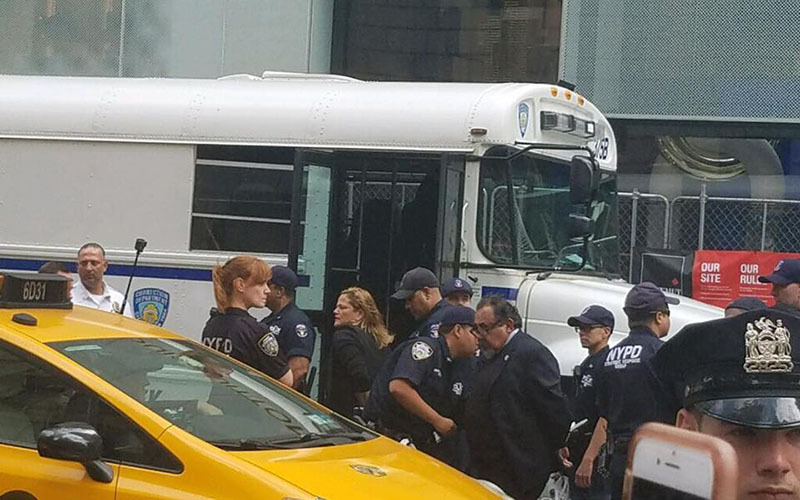 Democratic Rep. Raúl Grijalva of Tucson was arrested Tuesday morning during a protest in front of the Trump Tower in New York City, according to information from his campaign office. 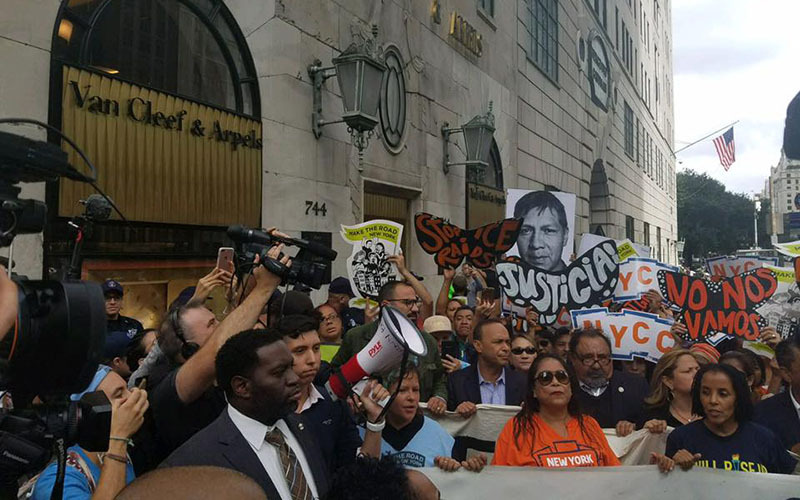 Democratic Reps. Luis Gutiérrez of Illinois and Adriano Espaillat of New York, and Speaker of the New York City Council Melissa Mark-Viverito were also arrested, according to a post by Grijalva’s staff on his campaign’s social media accounts. 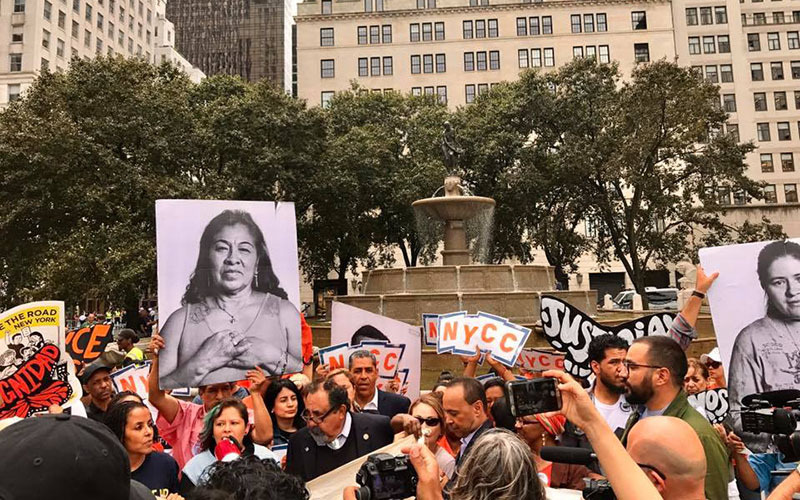 According to a video taken by Midtown Manhattan Patch, Grijalva was right in front of the march. 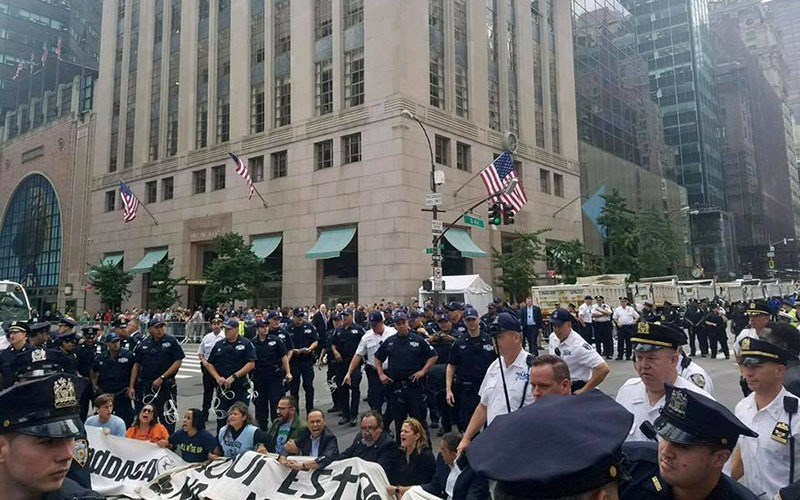 The group was marching through Fifth Avenue and as they approached East 57th Street, New York City Police advised them they couldn’t walk on the street. “This is the NYCPD. Please be advised that pedestrians are not permitted to walk in the street or roadway. Pedestrians are also prohibited from obstructing sidewalks. 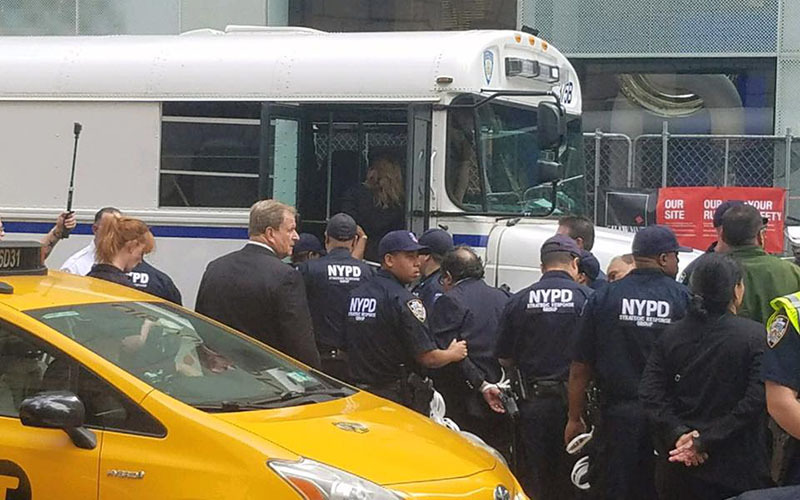 If you unlawfully obstruct pedestrian traffic, in the street or roadway, you may be placed under arrest and charged with disorderly conduct,” a police recording was heard as protesters were crossing the street. Protesters sat in the middle of the street and sit down right on the pedestrian crossing lines, as seen on minute 4:24 of the Midtown Manhattan Patch video. Grijalva, a first-generation American, has been an outspoken critic of President Donald Trump. He boycotted Trump’s January inauguration. Check back for additional information as this story develops.